If we talk about the most important body part in terms of functioning, our legs happen to be of vital importance as they help us to move about from one place to another and provide mobility to our body. In order to keep our body functional and in good health, it is very important to exercise all the body parts including our legs on a regular basis. Our foot and ankle help our feet to move and thus should be kept strong and healthy. 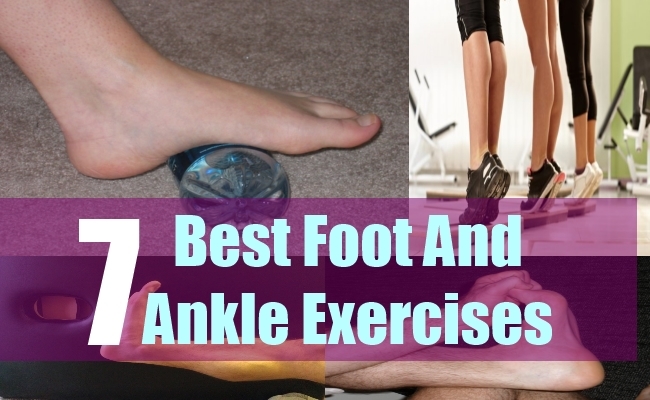 The 7 best foot and ankle exercises which keep them free from strains and injuries are mentioned below. 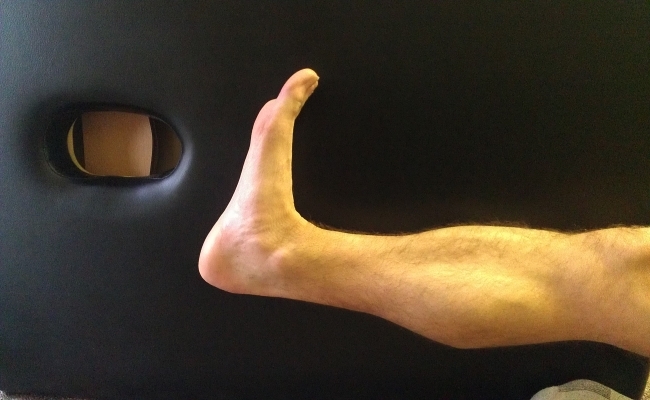 Take the left leg and place the ball of the foot on the wall. Keeping your back absolutely straight, lean your hips in front so that you can feel the stretch. Hold this position for 3 to 4 seconds and then go back to your normal position. Repeat this 10 times. When done, perform the same exercise with the right leg. You will need a Sportcord for this exercise. Take one end of the sportcord and place it over your left foot near the instep. Now pull it up by extending the left leg to such a point that you get the right resistance and feel a little difficulty in doing so. Push down the left toe in the same manner as you push a car’s pedal. Hold this position for 3 to 4 seconds. Repeat this exercise 15 times and then perform the same exercise with the right foot. Sit at a chair of such height that your foot hangs off from it. Slowly point up both the feet towards the knees. Hold for a few seconds and then go back to the normal position. Now point both the toes downwards slowly so that they move away from the knees. Again hold for a few seconds and then go back to the starting position. Repeat 10 to 12 times. Sit on a chair and extent out our right leg completely. 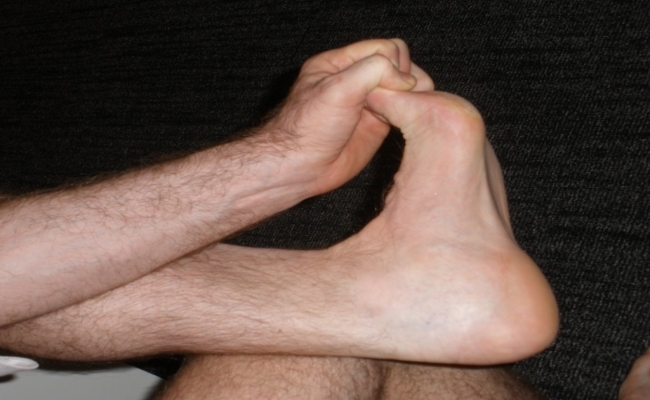 Flex the top portion of the toe backwards and hold this position for 15 seconds. Go back to normal position and repeat this exercise 8 times. When done, do perform the same exercise with the left leg. Sit on such a chair from which your feet hang off completely. Take the right leg first and turn the foot’s sole inwards in a slow manner. Hold this position for a few seconds and then go back to the normal position. Now turn the foot’s sole outwards. Again hold for a few seconds and go back to normal position. When done, perform the same exercise with the left leg. Repeat on each leg 5 to 8 times. Stand in such a manner that your feet are a shoulder width apart from each other. Now slowly rise up on your toes and raise your heels as much as you can. Hold for 4 seconds and then slowly come back to the normal position. Repeat 12 to 15 times every day. Lie down on a mat on the floor and slowly slide the left heel upwards near your buttocks. Reach up as much as you can comfortably and then slid back down when you can reach up no more. Repeat this exercise 10 to 12 times. When done, perform the same exercise with the right heel as well.